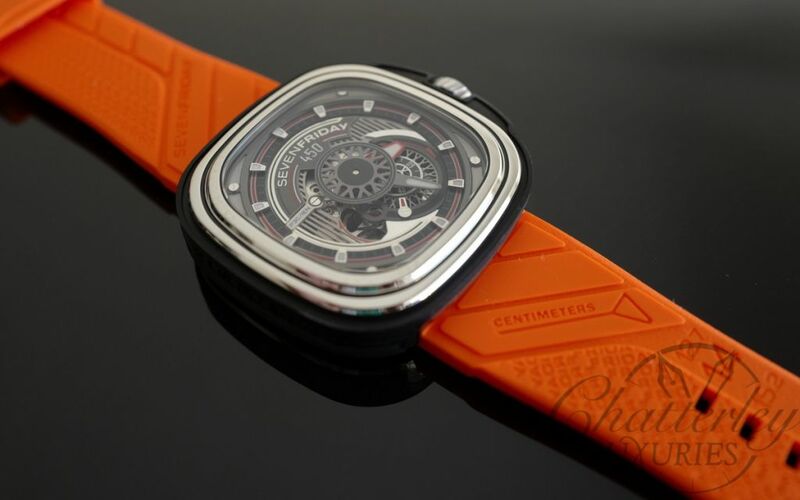 This watch will come with the original Black Leather Strap, but also from Chatterley it will come with your choice or Rubber Strap as well. 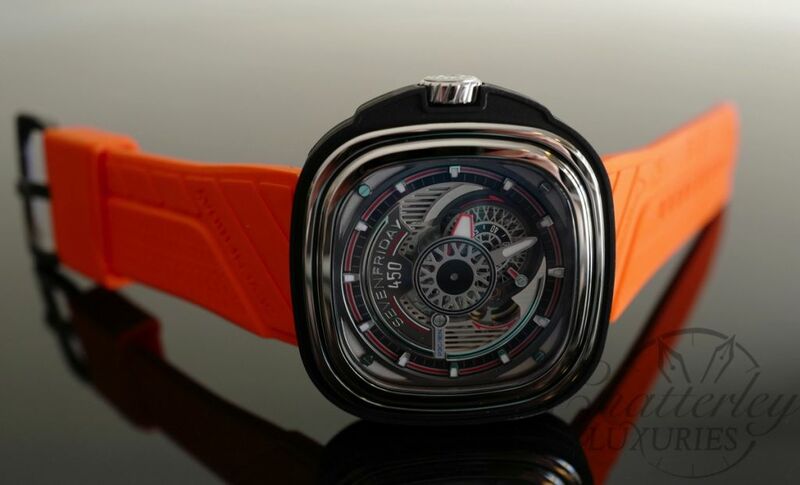 Choices are Black, White, Orange and Turquoise. 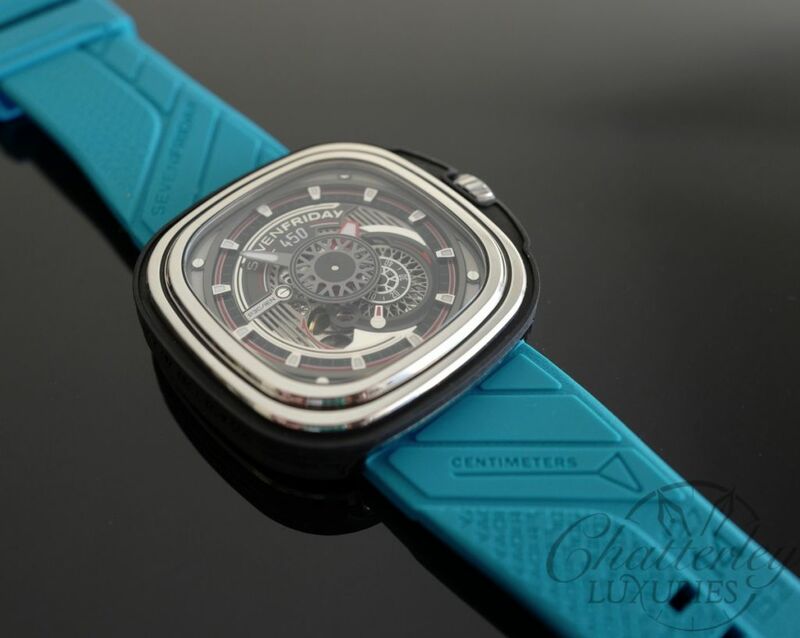 Contact us direct to confirm which color Rubber Strap you would like. 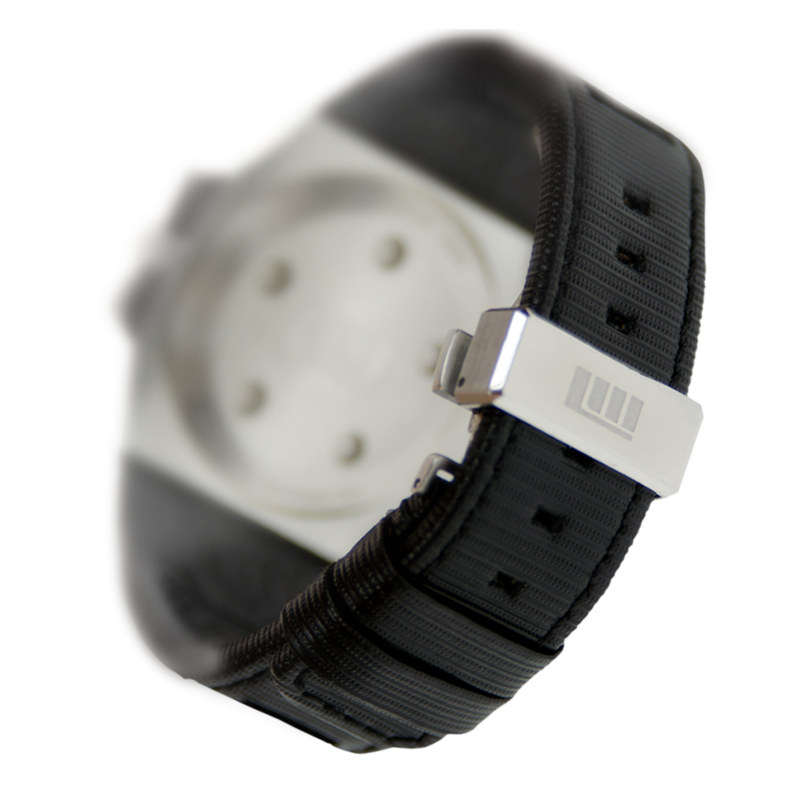 It will automatically come with the Black Rubber Strap if you dont contact us prior. 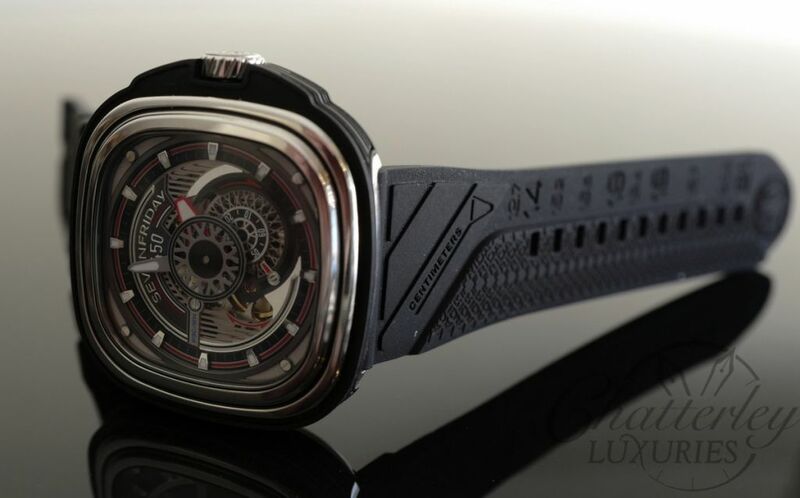 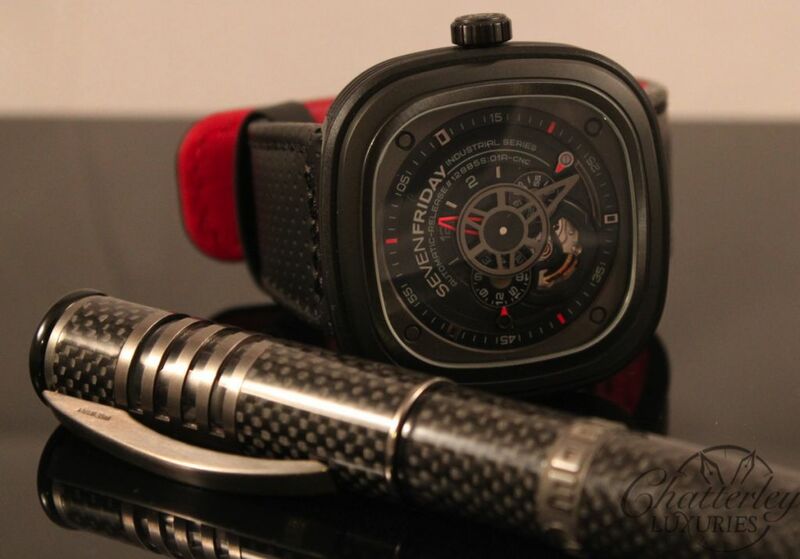 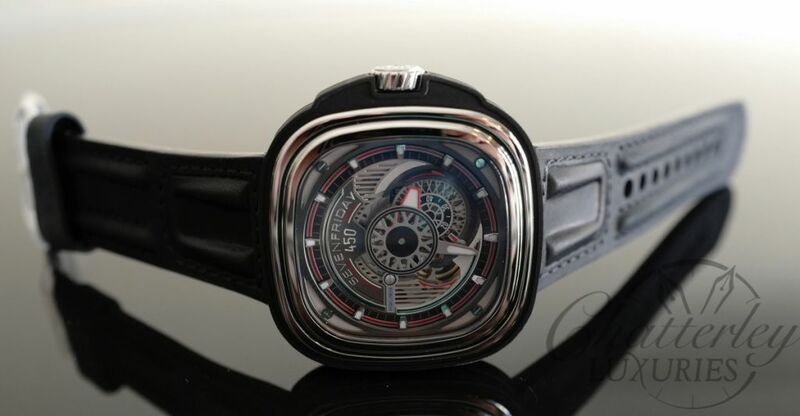 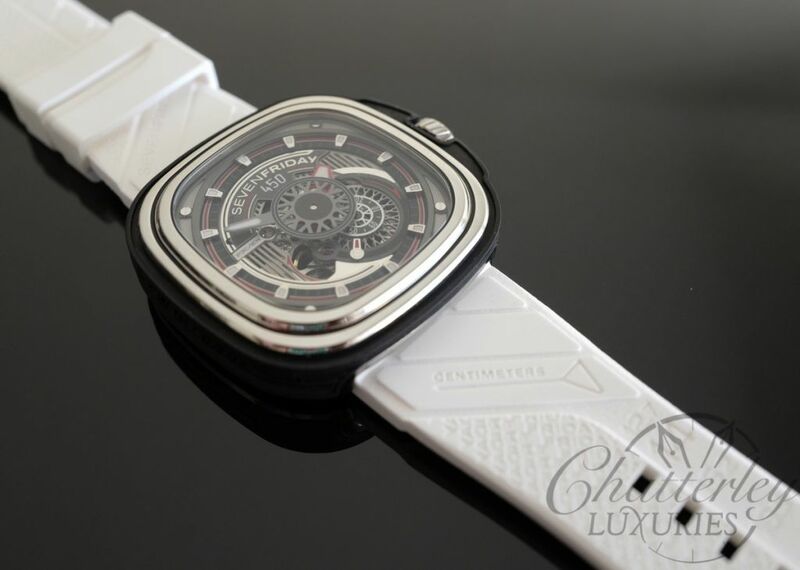 This SEVENFRIDAY P3C/01 Hot Rod is an Off-Series limited to 450 pieces worldwide. 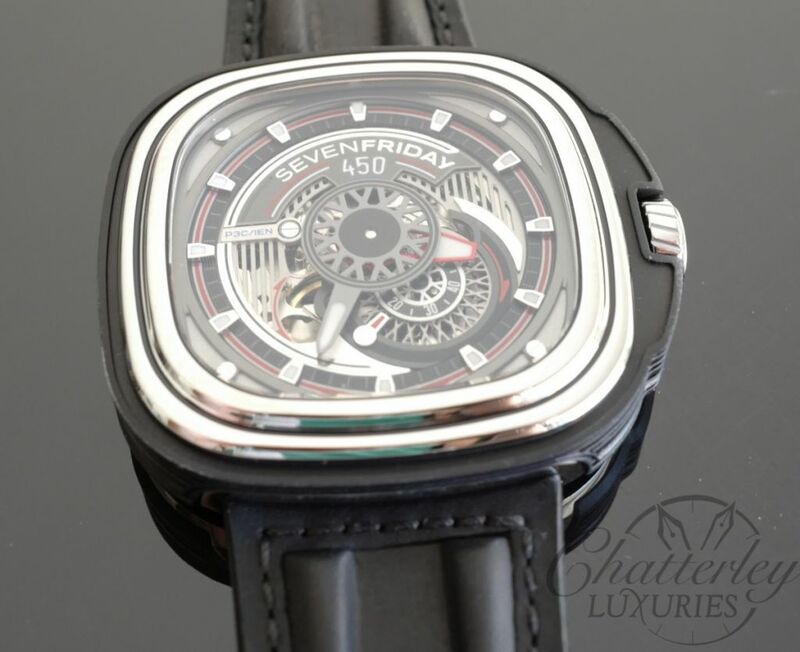 It features a polished Stainless Steel case and polished bezel ring bezel with black engraved divider. 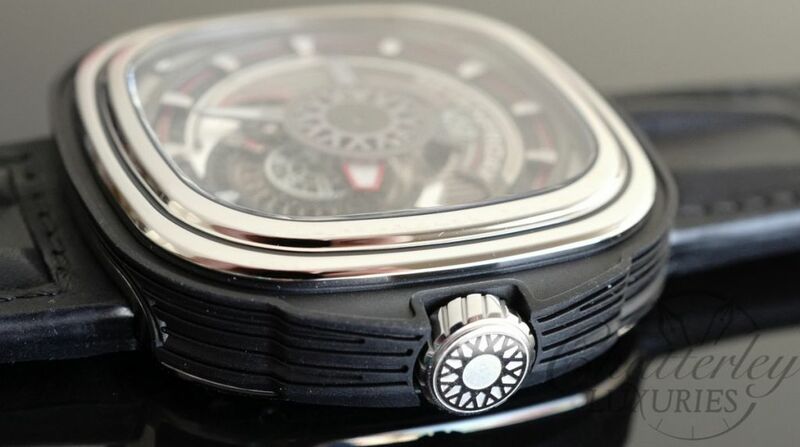 The P3C/01 has a high resistance black rubber animation ring with crown protector extension (3H). 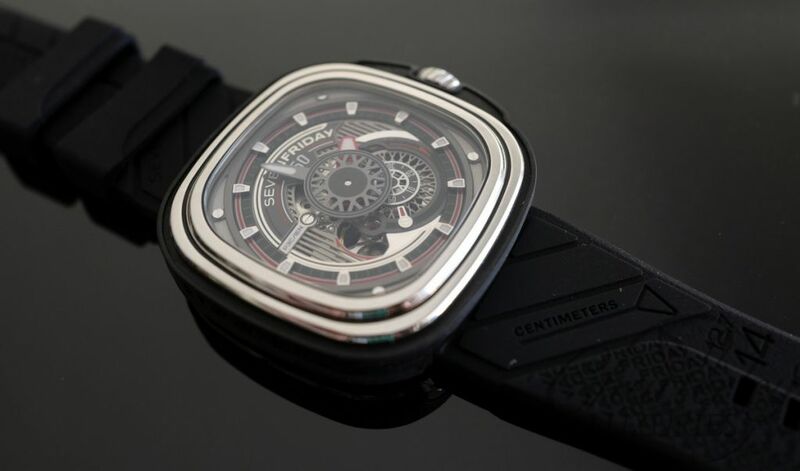 This watch has an intricate face comprised of 5 layers with 22 applied parts, gun metal, rhodium, black, finished alternatively matt, diamond cut, fine sandblasted, polished. 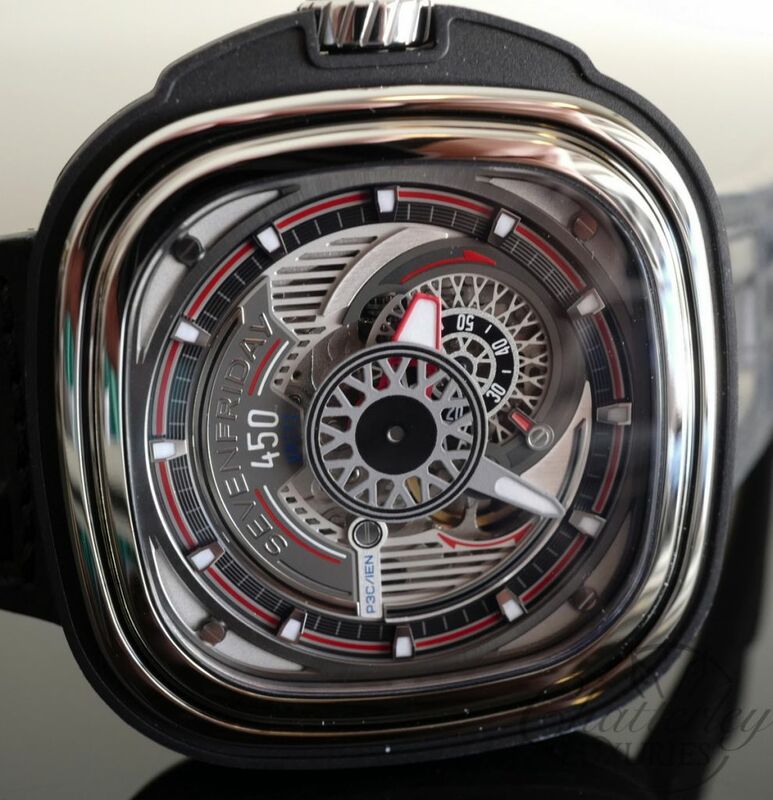 Specific hollowed-out décor (limited edition). 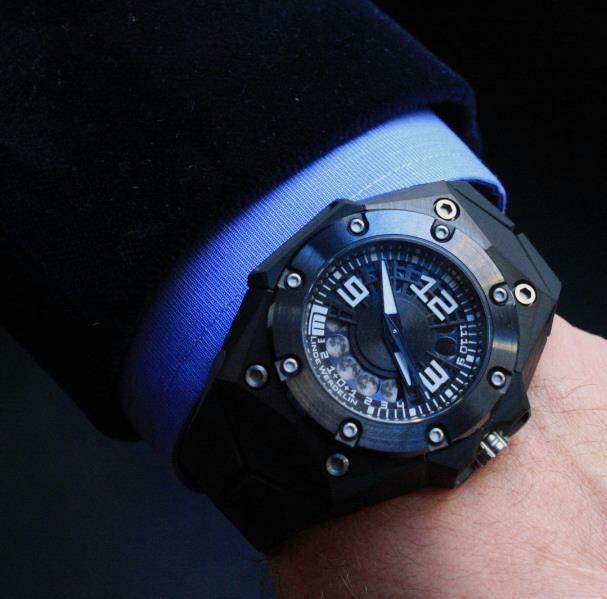 Dial ring with 12 polished applied indexes with white luminous. 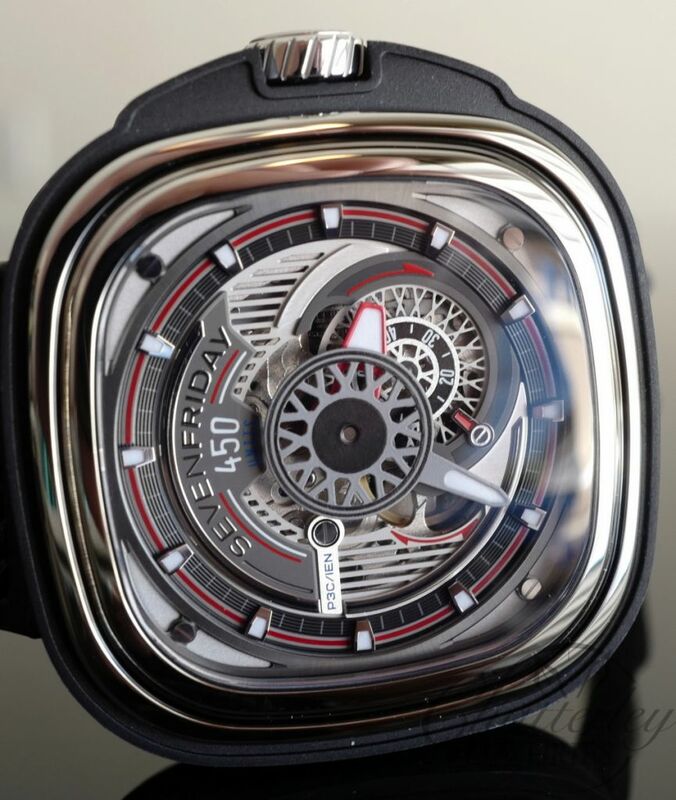 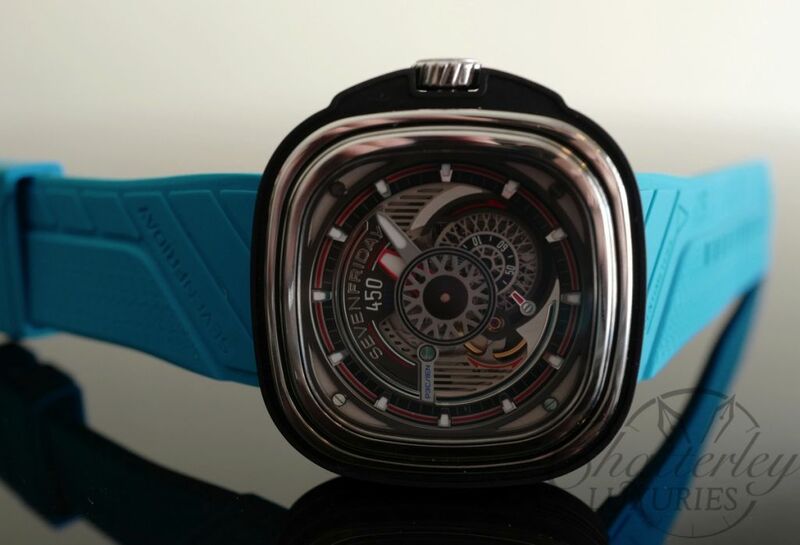 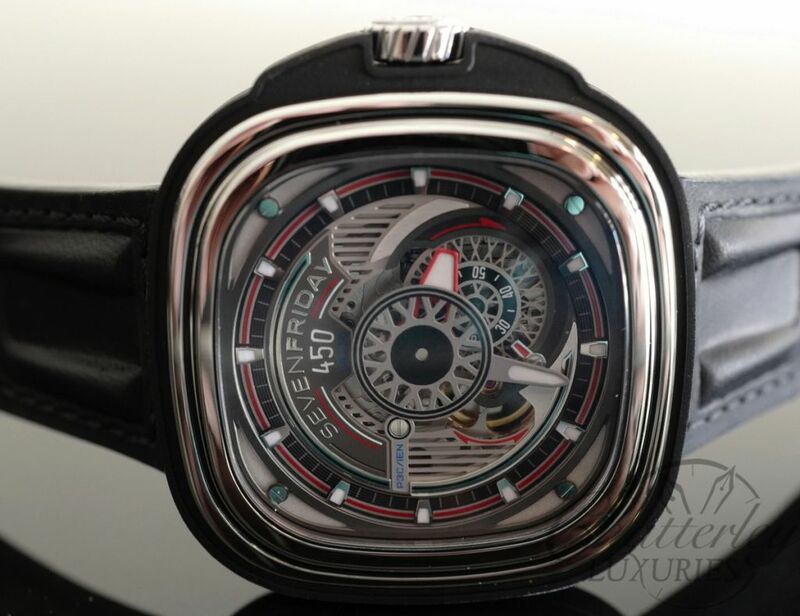 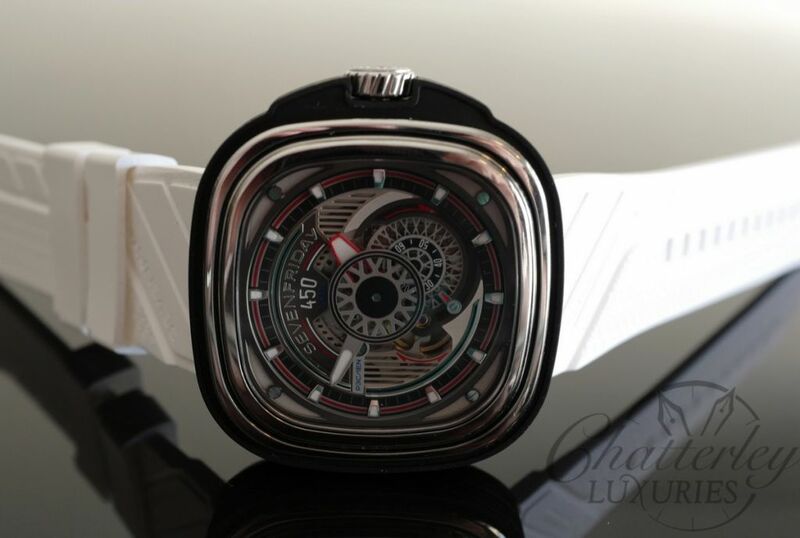 The engine in this SEVENFRIDAY is an open balance wheel on Miyota 82S7 which has a 40 hour power reserve. 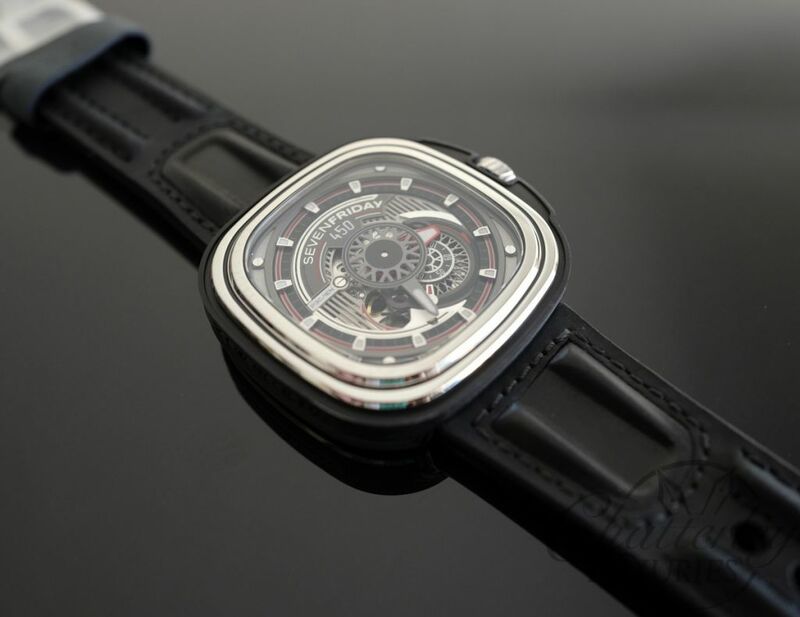 The watch is NFC compatible via the SEVENFRIDAY app.